This Halloween, prepare for a scare as Portadown People’s Park will once again be transformed into a spine-chillingly creepy setting with their annual Spooktacular event on Tuesday 30th October. Promising to be ghastly, ghostly and gruesome as well as a lot of fun, make sure you get your hands on some tickets and don’t miss out! Tickets will go on sale on Monday 8th October at 7pm and will be available by logging on to www.getactiveabc.com. Tickets must be purchased for all ages and cost £3 per person or £10 for five tickets. The Spooktacular tours will begin every five minutes with the first starting at 5pm and the last leaving at 8.15pm. Each tour will last for approximately 45 minutes. The mystical tour guide will take you around the illuminated park to interact with some frightfully friendly characters! 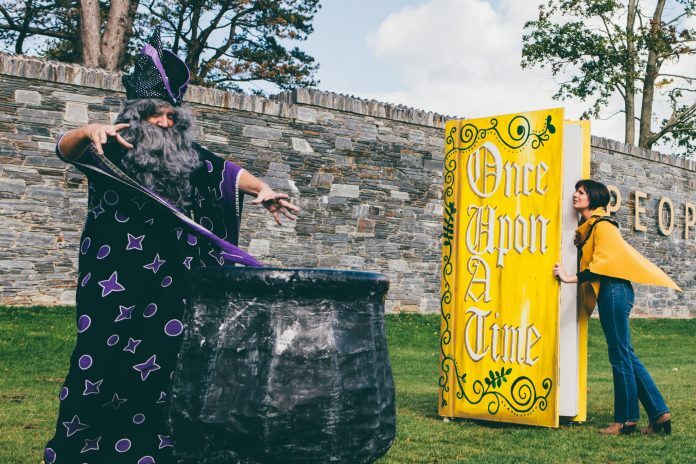 Be part of the story and help Walter the Wizard, brave Vikings and naughty gnomes find the missing dragon’s egg and restore the magic of Halloween! Don’t forget your spooky costume but also make sure to wrap up warm and wear your wellies as you adventure through the creepy park and hear spine-tingling tales of all the weird and wonderful characters! Children can also enjoy free craft workshops, face painting and balloon modelling on the night. And if you need to warm up your bones during the evening, hot drinks and ghoulish snacks will be on sale! This event can only be attended by ticket holders so make sure you don’t miss out on this adventure to remember! Tours are suitable for children aged four and above. Demand is always high for this event so be ready to log on when the clock strikes 7pm on Monday 8th October! We look forward to seeing you there!